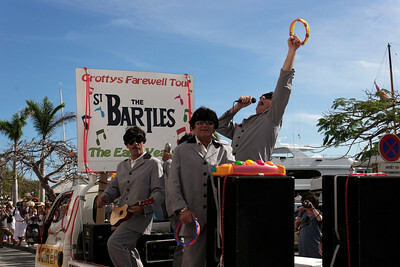 For an island with so few inhabitants, St Barts boasts a superb carnival. 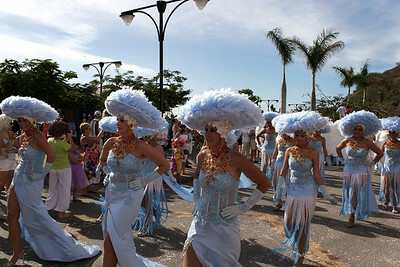 According to tradition, every weekend as D-day approaches, “La Pointe en Mouvement”, the carnival organizing committee, kicks off the festivities with déboulés involving symbolic costumes and dancing to the sound of drums. 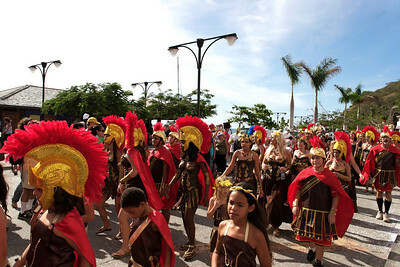 This is just a foretaste, because on the real carnival parade day, also called “Vidé”, the parade is even more lively and the atmosphere is good-humored. 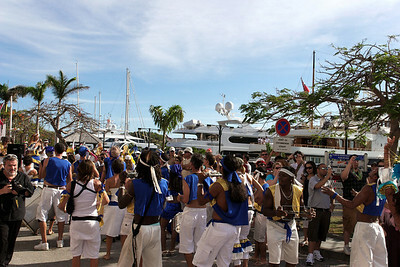 Many groups and hundreds of people parade in costume through the streets of Gustavia behind floats. 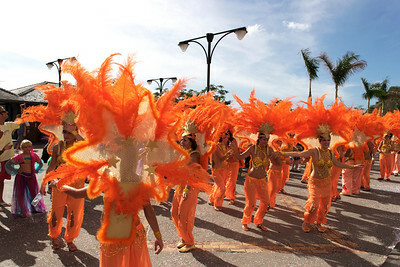 The most highly-organized groups such as Cassiopeia or Rum Ginger compete with each other to produce the best costumes and dance routines. 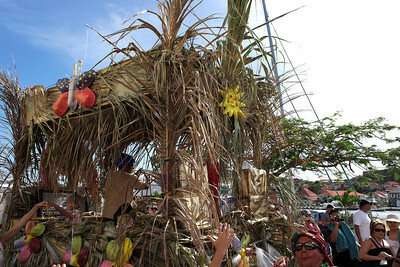 The less ambitious groups are not to be outdone and add an incredible sense of liveliness to this procession, which is always very spirited and highly colored.